This ladies and gents is Trump’s argument for the wall, enter thru the gate and be welcome, hop the fence and you are lawbreakers come to kill American citizens, steal from American taxpayers, and destroy the American way of life. Please note that the Pharisees (for our purposes substitute Liberals or Democrats) don’t understand what they were being told. 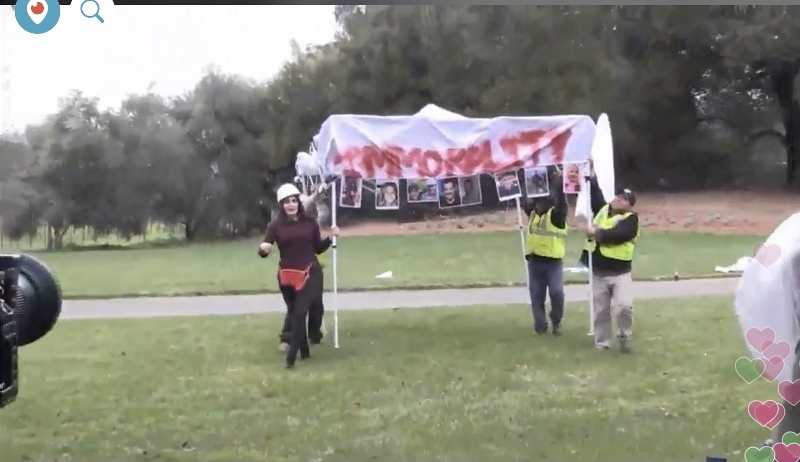 Case in point, I mentioned the stunt the other day when people hopped the wall at Nancy Pelosi’s house and claimed to seek refuge as they were from Guatemala. I said that I thought it was funny and a clever way to illustrate the hypocrisy that a wall is OK from rich Democrats like her but giving the same protection to the American people is immoral? The Bible also has much to say about respecting boundaries and property lines and specifically calls it a sin to tamper with such. Also the Bible is very committed to the principle that the foreigner is expected to follow the religious and civil laws of Israel when they are within its borders including honoring the labor and Sabbath laws. In fact this like treatment of citizen and sojourner is part of the Western (Christian) basis for equal protection under the law, not that anyone in a government school would ever acknowledge this fact. So if Trump is on Jesus’ side, where does that leave Pelosi, Schumer, et al? Why with the liars, murders, and thieves. If you have any doubt just look at their views on abortion. No wonder the Democrats are screaming like demons; they work with them. Further along in this very same chapter of John, Jesus states, “I have other sheep that are not of this sheep pen. I must bring them also. They too will listen to my voice, and there shall be one flock and one shepherd.” (v. 17) Was this erroneously not mentioned in this post (we all mistakes), or was this resolutely omitted because it fails to serve the agenda you set forth here? I’m no Biblical expert by any means, but in my opinion, you have taken this passage of the Scripture gravely out of context. What I gleaned from this passage was that Jesus is attempting to explain to the Pharisees by means of metaphor that he is the sole means by which we should pursue Christianity. There are no shortcuts to steal or cheat your way to eternal salvation. This is what Jesus hoped to teach the Pharisees. I find it egregiously, morally abhorrent that you would twist the Scripture in a way to serve your political views. Furthermore, your lucid contempt that the government fails to manage itself and base its decisions on Christian moral teachings is blatantly hilarious. The issue at hand is not one of moral proportions, it is one that involves the issues surrounding the basic principles of democracy. Democracy, albeit the United States is not a true democracy, has its fundamental basis in the principle of a government by the people and for the people. The issue people see with the wall is not that crossing into the United States is illegal and morally unjust (though it is), the issue people see with the wall is that the majority of Americans fail to see it as a priority (Source: http://fortune.com/2018/12/12/trump-border-wall-poll/). Moreover, illegal immigration has hit a twelve-year low on a purely factual basis (https://www.usatoday.com/story/news/world/2018/11/27/undocumented-immigration-immigrants-donald-trump-border-security-pew-research-center-build-wall/2125005002/). I conclude that while illegal immigration numbers are much higher than they should be, Trump’s supercilious behavior believing that he knows better than the American people, the people he swore to serve, by ignoring popular opinion of the electorate is repugnant on purely democratic (not ideologically democratic, I hope you could deduce that much) terms. I’m not taking this parable out of context. The illustration that Jesus used in this and his other parables have two common factors; first, he took everyday situations with which his hearers were familiar to teach a spiritual truth, and second, each parable is stripped to the minimum number of elements to teach the truth. On this point think, irreducible complexity. I am dealing with the sheep/shepherd illustration here. 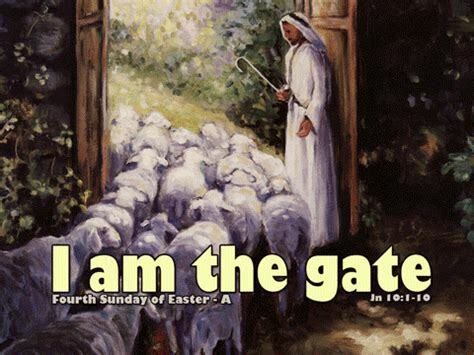 The point is that anything not entering by the gate is up to no good, is bad, and has ill intent to those that live within the sheep pen. In our country, the gate—immigration system—is broken and in need of repair; likewise, for our wall—border protection. We need to fix the wall and then turn our attention to the gate. Please understand that I am in favor of legal immigration with one caveat, that the people coming here want to become Americans and adopt our way of life; however, if they just want their lives here to be a colony for the third world, backwater place that they came from then stay home. If they want to learn the language, become citizens, and adopt our way of life then by all means come. I also think part of the solution is to have a guest worker program. Some folks just want to work here for a season and then be able to go home to see their families. We should find a way to accommodate them too. Part of the reason that I wrote the article was that Trump is echoing what Jesus said while Pelosi and Schumer—who used to say the very same things Trump is saying—are now saying the opposite. They are opposed to border security simply because Trump is for it. They are being political for the sake of being the opposition. On most issues in government, neither Party has any interest in truly solving anything. Instead, they want to campaign and fundraise off the issue. Lest you think I’m only bashing Democrats, look at the Republicans and their eight-year campaign to “repeal and replace” Obamacare. Once they had control of both the House and Senate, all the sudden, they had no bill and no plan. It was all a scam to get votes. I have documented this in detail elsewhere on this blog. Pelosi is in power because Boehner, Ryan, et al, lied and couldn’t deliver. The closest we have gotten to an attempt at a comprehensive fix of the immigration issue since Reagan’s amnesty was in the first year of George W. Bush’s administration. He had negotiated a framework for a deal with Mexican President, Vincente Fox, and was working to push it through Congress when the 9-11 attack happened. All we ever saw from that idea was a spending authorization to build 700 miles of border wall—which as far as I know, never really was completed. No, I’m serious. If Jesus is who he said that he is, then he is ruling and reigning right now until all nations bow to him. The LORD said to my Lord, sit thou at my right hand, until I make thine enemies thy footstool. That at the name of Jesus every knee should bow, of things in heaven, and things in earth, and things under the earth. The nations will be judged by Jesus and are ruled by him now. He is not the tiny baby of Christmas or the murdered guy on a cross, he has risen and is King of Kings and Lord of Lords. The Bible sets forth standards of conduct for nations and peoples not just individuals. So yes, to the extent that we uphold His standards in our conduct as individuals and laws as nations we will be judged. All law is religious. This is a proposition that I have mentioned elsewhere on the blog. Sure, it is. Trump clearly has the moral high ground on this issue. His opponents don’t. They are liars and double dealers who don’t want to fix anything. Gridlock is good for them. They can posture for cameras and not accomplish anything. Blame the other guys and fundraise for re-election. This has been business as usual in Washington DC for decades. Now, whether Trump had to go about it the way he has can be debated but given the situation now, let’s fix it and go on to the next thing. As for your contention that Trump is ignoring the electorate, that is plain wrong. He was elected on this issue. Even some Democrats have acknowledged this is recent days. As I see it, the truth is that Mitch McConnell and Jeff Flake are to blame for the current impasse. Had they passed the Republican House funding bill in the lame duck session then the shutdown would never have happened. McConnell wimped-out and punted to the new Congress so here we are. Trump is a gentleman and hasn’t said anything publicly about it. Instead he has chosen this issue as a way to get the Democrats to engage with him to get stuff done. Trump expected the Democrats to negotiate in good faith but instead they won’t engage him by making a counteroffer. Trump tries to treat them like adults—think people in the private sector that work for a living—but people in politics don’t think like other folks. Trump will win this issue because he is publicly trying to solve it, and the Democrats are hiding from him. Trump is framing the issue so he will win the debate. The 2020 campaign has begun, and the Democrats can’t field a team.